Would a world run by women result in a global utopia? 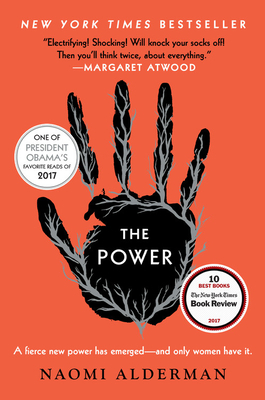 This is the question at the heart of The Power, a novel that follows three women--the daughter of a British mobster, an abused Florida teen who hears voices, and an American mayor--who gain the newly awakened ability among females to unleash strong electrical forces from their bodies. A fourth central character--a young, male Nigerian journalist--chronicles the societal changes that unfurl across the world, from women rioting in the streets to more nuanced shifts in government and business, where power tends to corrupt, regardless of gender. Alderman unflinchingly follows her concept into disturbing territories, and the book is all the more successful for it. Smart, entertaining, and enthralling, The Power is a great novel for our times.